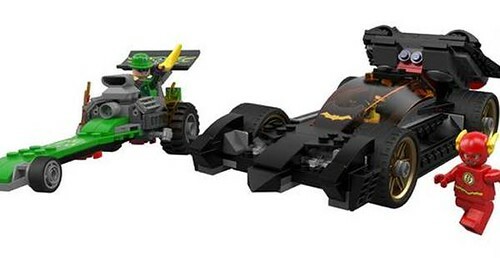 USA Today has revealed the set that a new LEGO Super Heroes DC Universe set will be unveiled at the 2013 San Diego Comic Con, the Batman: The Riddler Chase. 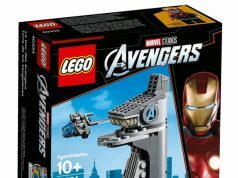 The set will contain 304 pieces and retail for $29.99 and is slated for a January 2014 release. 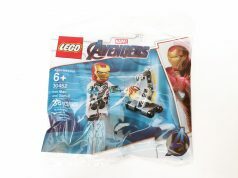 It will feature three minifigures: Batman, the Riddler, and the long awaited Flash minifigure. The vehicles that are in the set are a Batmobile and a green drag racer for the Riddler. 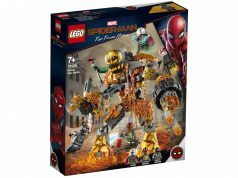 LEGO fans will be happy to see that the Flash minifigure will make his first appearance in a Super Heroes set and are that much closer to completing the Justice League. Update: Some eagle eyes on Brickset and Eurobricks noticed that the Bat symbol on the Batmobile looks a lot like Batgirl’s symbol. Also, if you look closely at the minifigure sitting in the vehicle, it has a lot of yellow which looks similar to Batgirl’s cape. We will soon know what minifigure is in the Batmobile in the next few days.